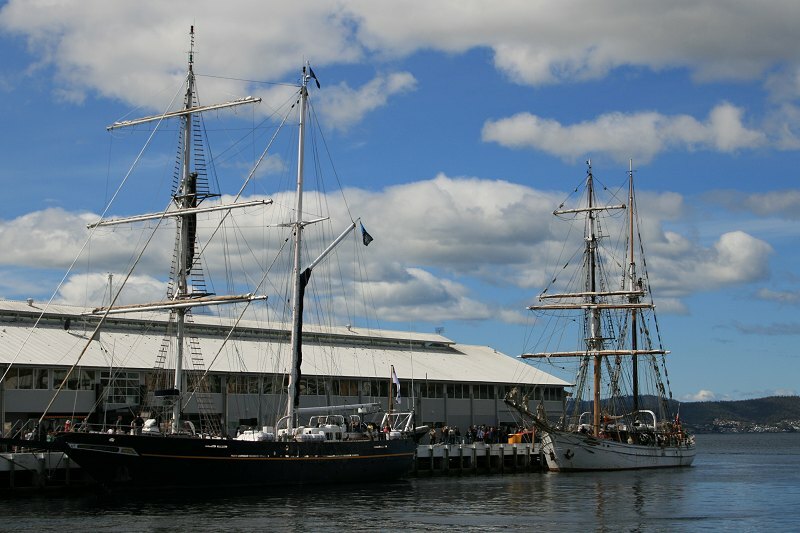 Young Endeavour and Søren Larson. Last two. 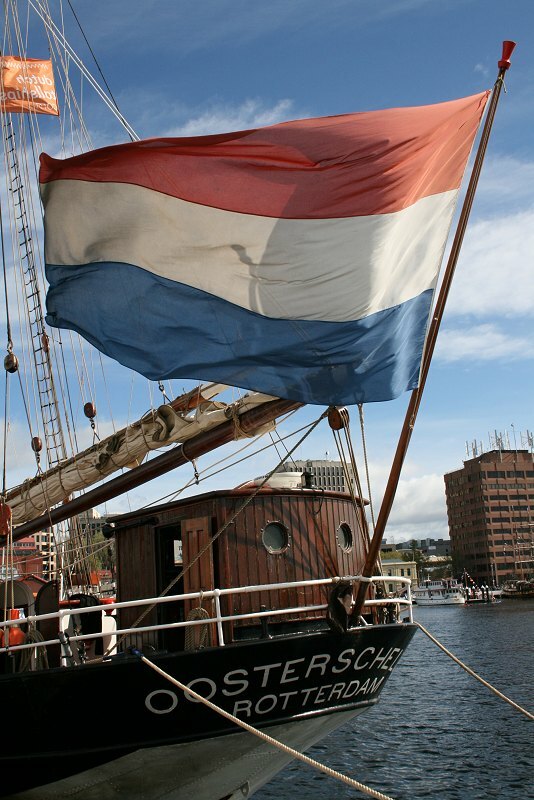 This is Tecla, the third of the Dutch ships on their trip around the world. Built in 1915. And that's all I can remember. This is the last ship I looked at. 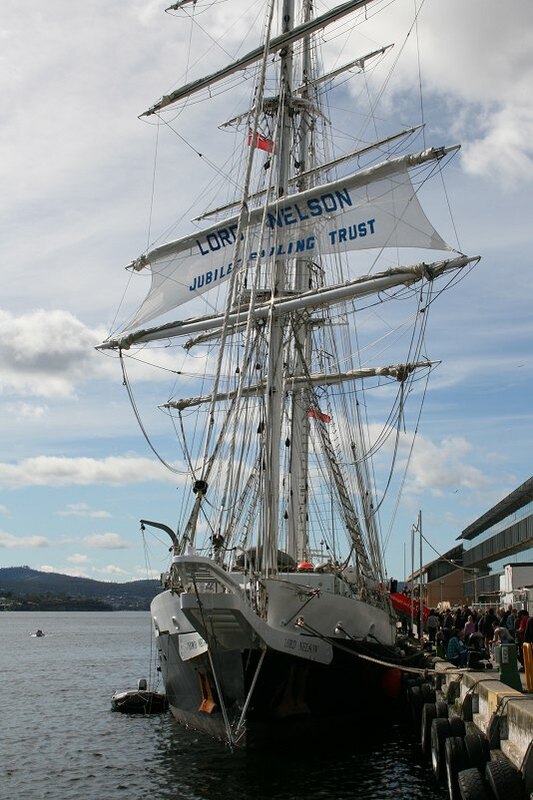 The British Lord Nelson is owned by the Jubilee Sailing Trust and was "purpose built to enable able-bodied and physically disable people to sail together". I'm going to take the easy way and put up the photos in the order I took them, because I can't remember being on board. (I remember going o nboard and leaving, but not the in-between parts) so I can't really make any useful comments. Oosterschelde, from Rotterdarm. One of the three Dutch ships travelling around the world together. They have a web site for the voyage. Their next stop is Sydney, for the Naval Review, and then onto New Zealand. 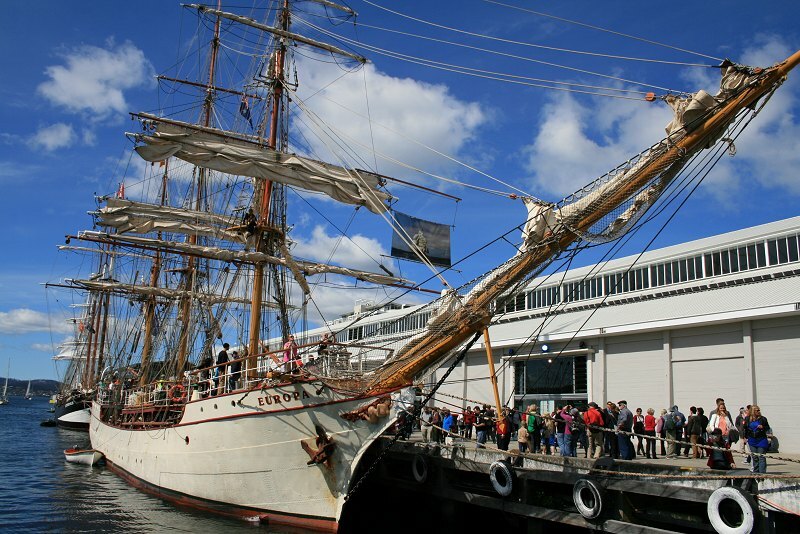 The Dutch barque Europa. 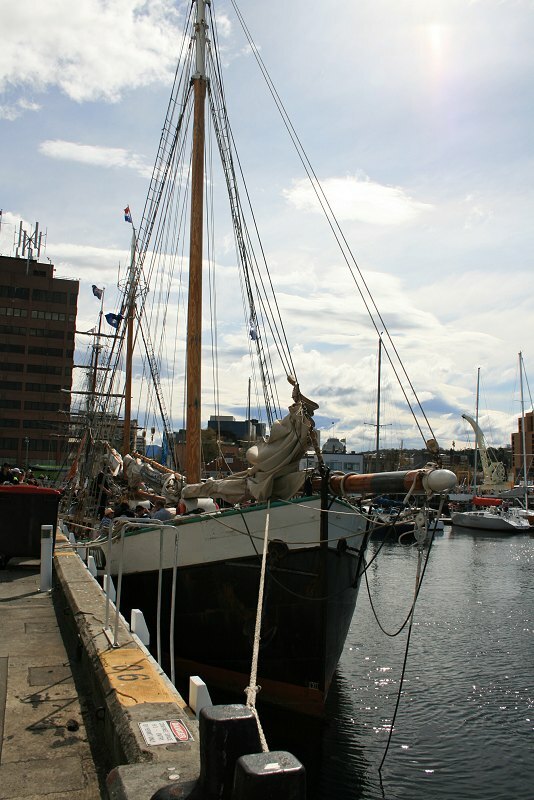 Originally built in 1911 as a lightship and later adapted to be a tall ship. Along with two of the other visitors, she's one an around the world trip. 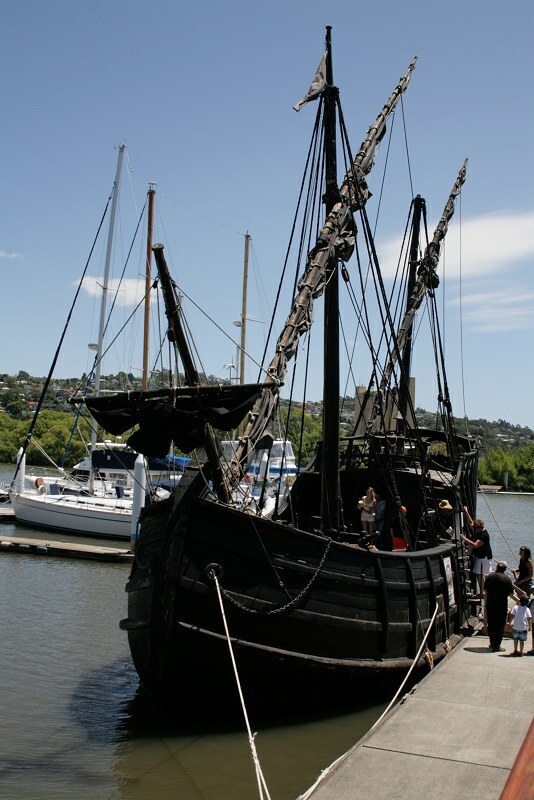 Notorious is a replica of a 15th century Portuguese caravel. They stopped by in Launceston on the way to the Wooden Boat Festival. This one has taken me a while to get to. I had to edit the photos, work out which I wanted to use and then upload them (click, click, click for each one). Still too many photos for one post, so I'm doing two. Second post will be some photos I think are interesting along with some observations on how information is passed around in groups. Today's post is an overview of the ship as you'd encounter it on a visit. If you do get a chance to visit her and you haven't, it's worth it. 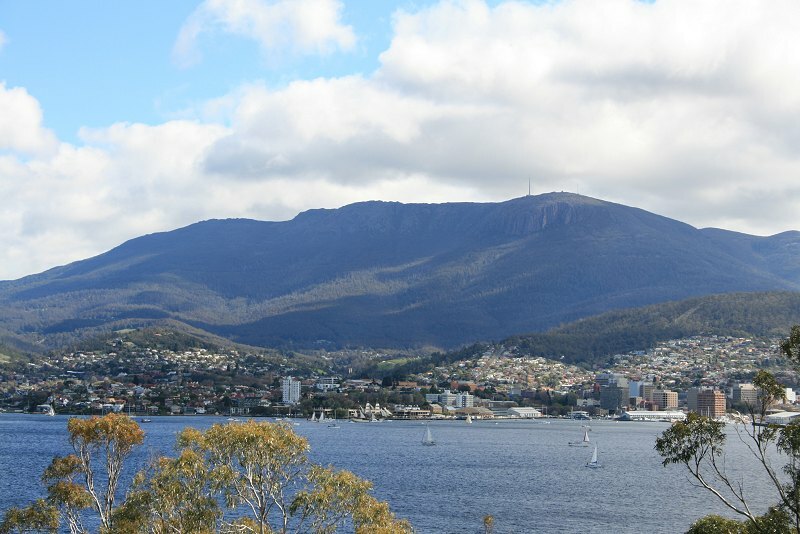 I think a lot of people, at least in Hobart--judging by the number of visitors who didn't put enough money in the parking meter--don't realise what they'll be getting to see. She's a floating museum. I think something like $17 million was put into her over six years (and during a recession). The attention to detail is incredible: clothing & blanket are hand sewn, hand woven, from the original places where possible; letters are on handmade paper, hand copied from originals; all the ship's measurements are as accurate as they could make them. She might be a secondary source, at best, but a fascinating source. Once onboard, there are about ten positions (depending on how many guides are available) each with a guide who'll tell you something about that part of the ship. If it's very busy, each group should only be at each position for 2 minutes. At quieter times "they should be through in an hour, unless they want to stay longer and talk". 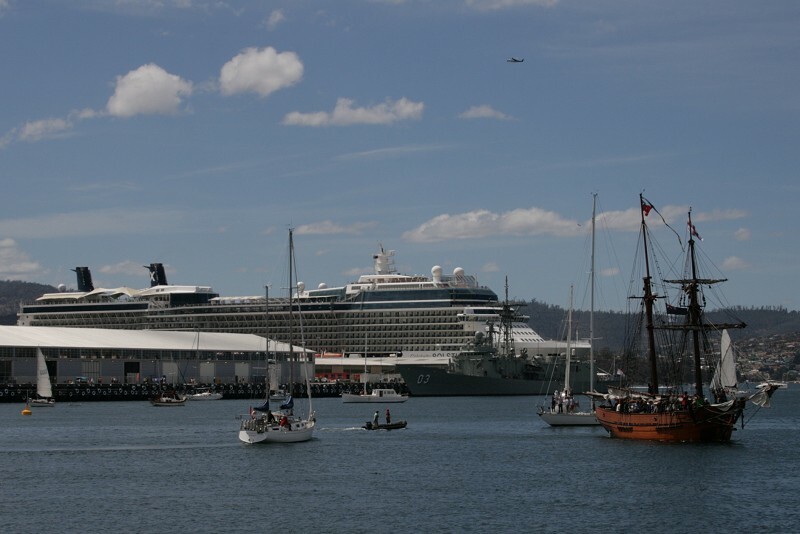 The reason I keep going back to the Wooden Boat Festival in Hobart isn't to do with wooden boats. I can get that every year in Launceston, and it doesn't cost me a thing. No, this is the reason. So a short parade of the non-boats from the Wooden Boat Festival, which might be the last photo entry for a while because my connection drops out every time I upload more than one or two photos. It's happened every time but once so I don't think it's a coincidence. These are a sneak peak, and I'm not sure if there's much point to posting these. My first thought on looking at them is "I need a zoom lens", my second thought is "It really loses something when reduced to a photo". Because there is something very cool about waiting for the first masts and sails to appear, and then trying to pick out the individual ships from within the mass. And to think now that long ago, that harbour would have been full of such masts, although more on the size of the James Craig and larger. Unfortunately, the best I can offer today is a handful of small, greyish photos but at least there was some wind this year. I did link to the bigger photos for a couple of them. There are three areas with watercraft, plus a fourth part outside the boundary of the festival proper. 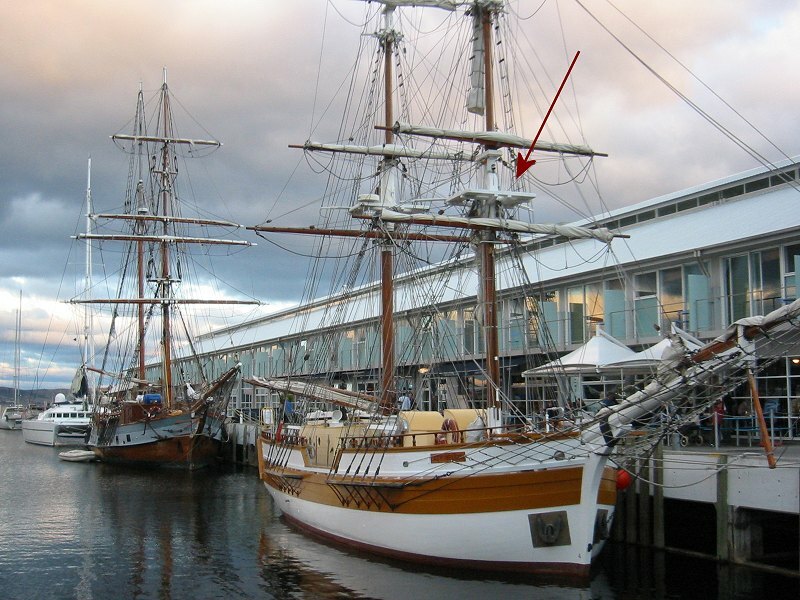 Windeward Bound is based in Hobart, a modern brigantine built in the 1990s, from 19th C plans (from memory, their website isn't being very helpful). Not a lot of photos this time. These first two are from a couple of days ago, at Taste of Tasmania/Summer Festival. Iron barque, built 1885 in Belfast. 647 tons, 192 feet long, max speed 14 knots. A trading ship, coal mostly, from the end of the era of sail, although she remained in use to the 1920s, when she was converted to a coal hulk. "Three masted barque about to be broken up on the rocks." 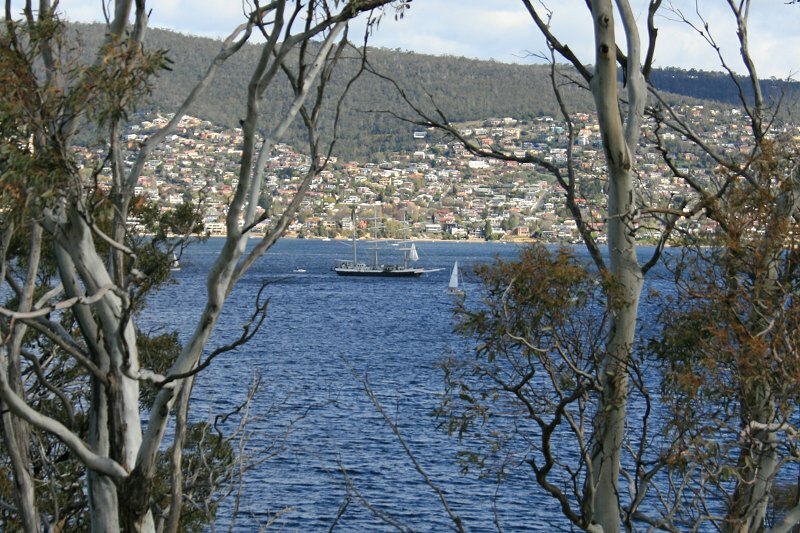 "On Her Way To The Seclusion Of Hulkland"
Looking over my web page, I realised I haven't done LJ entries to match all my tall ship photos. Shocking, I know! 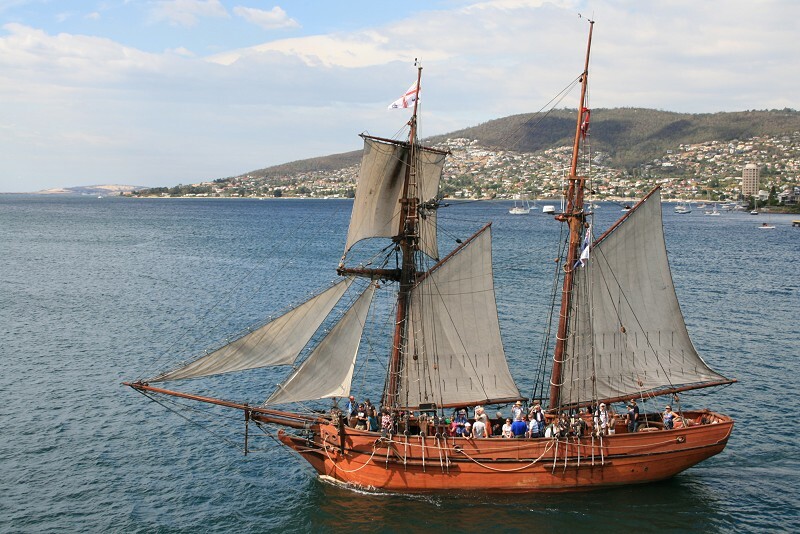 So, I am catching up now, starting with One And All, a sail training brigantine from South Australia.